Happy 90th Birthday, Sherman Wilford Brooks Garlock ! 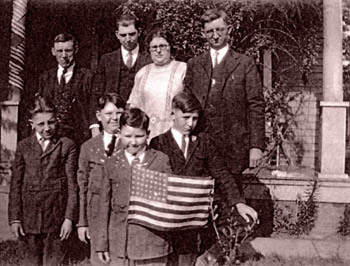 Sherman Garlock (middle row, right) with his brother Ivan, cousins William and Everitt Wood. Back row: Uncle Fred Garlock, Grover Wood, Matilda Garlock Wood, father John Garloch. 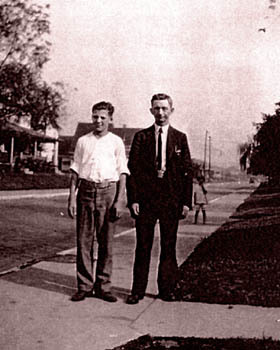 Sherman Garlock with his father John Garloch in Indianapolis, IN. 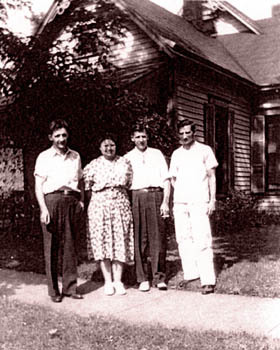 Sherman Garlock (second from right) with his brother Ivan, aunt Matilda, and brother Melvin. 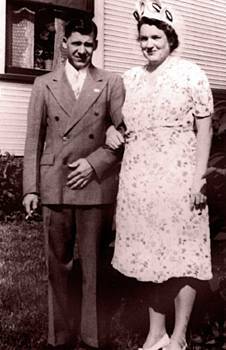 Sherman Garlock and Mabel Sutcliffe. 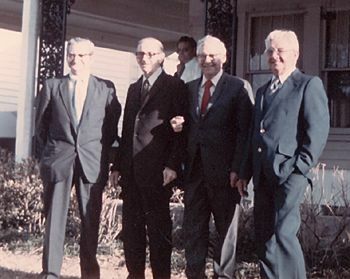 Sherman Garlock (second from right) with his brothers Melvin, Emmett, and Ivan .